Christian Science practitioner Christie C. Hanzlik, C.S., from Boulder, Colorado, gave an inspirational talk at Lynn House on October 27, 2018. 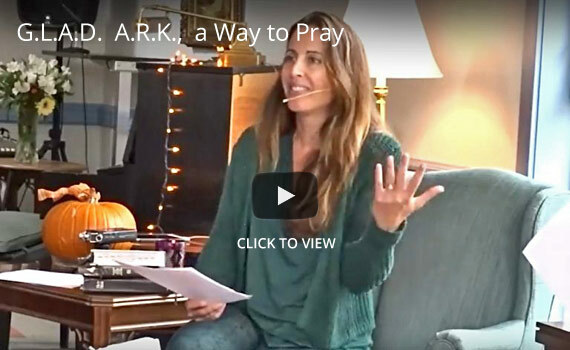 She shared simple steps that we can follow to pray for ourselves and the world as she pondered how Daniel might have prayed while in the lions’ den. Special guest musician, Matt Hammond, accompanied the talk with hymns. Handouts from the talk are available here: Pictures & notes and G.L.A.D. A.R.K. summary. Download a PDF version of the talk here. This talk offers a new view of the Good Samaritan story and was presented by John Rinnert, C.S., at Lynn House on Saturday, November 11, 2017. The video includes an introduction by David Sand, Executive Director. Download a PDF of the talk here. Enjoy a video of an inspirational talk by Elizabeth Trevithick, C.S., held at Lynn House on Saturday, November 12, 2016. The video includes an introduction by David Sand, Executive Director. Download a PDF of the talk here. To view a video of this inspiring event held on June 11, 2016, click here. An inspirational talk by Col. Janet Horton (Ret. US Army) was held on Saturday, September 19, 2015. The following recording includes an introduction by Carolyn Hill, Executive Director, the 10:30 a.m. talk by Col. Horton, and the Q&A session from the 10:30 a.m. event. Note: the speaker refers to a gesture you cannot see, but which happens three times at about 15 minutes into talk. The gesture referenced is putting the right hand to the heart, to the lips, and then outstretched to the person addressed. The following recording includes only the Q&A session from 1:30 p.m. event. Download a PDF of quoted citations or a two-page excerpt. Lynn House of Potomac Valley hosted two talks by Mark Sappenfield on Saturday, March 2, 2013. We would like to thank The Dominion Foundation for sponsoring these talks. Mark’s talk was titled Reinstating Primitive Christianity: Facing and Overcoming the World’s Resistance. Click here for a brief summary of his talk in printable format.